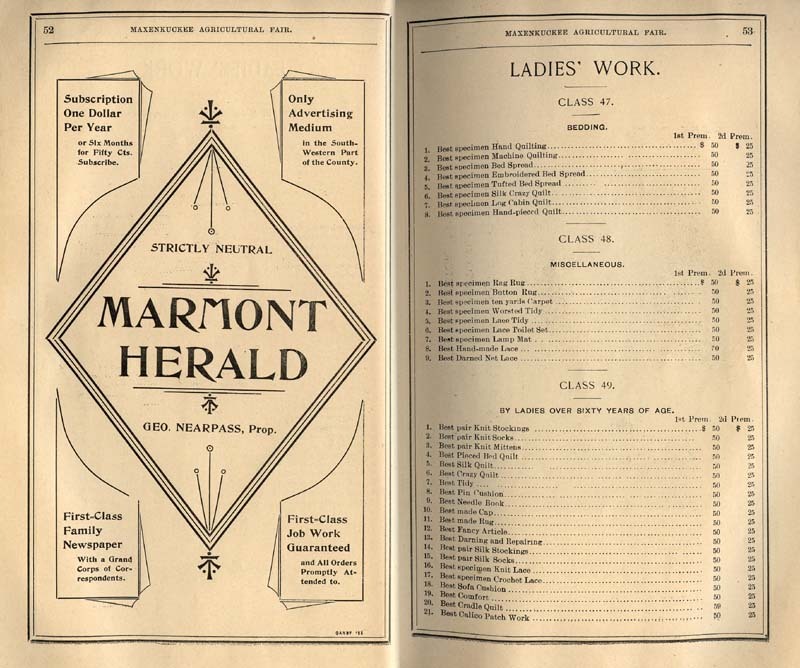 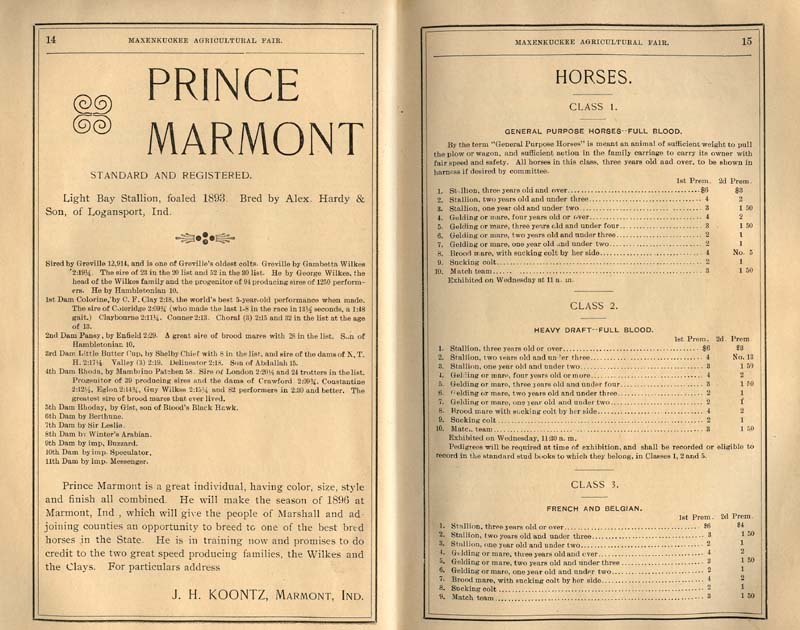 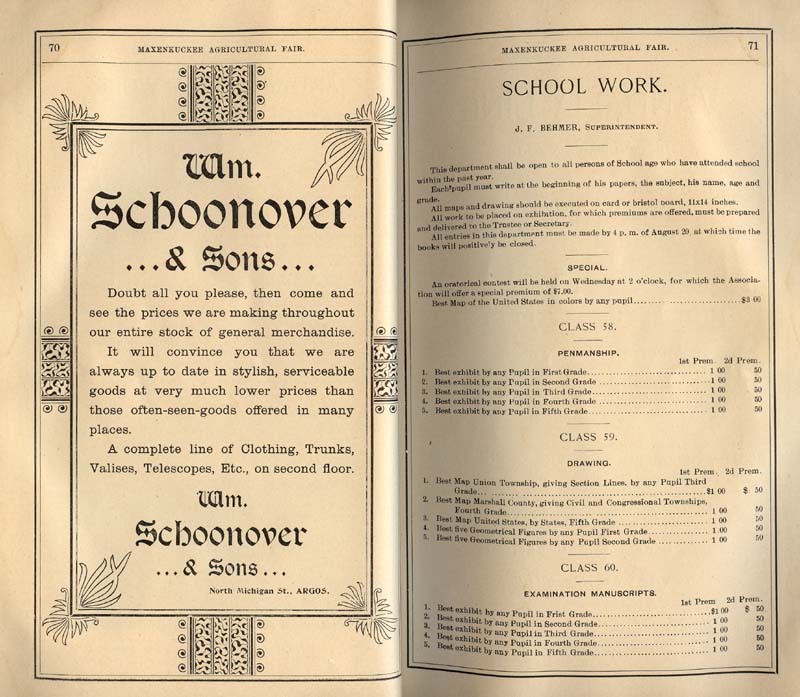 This rare gem, provided by the Antiquarian and Historical Society of Culver, represents a time when the town was still known as "Marmont," 1895. 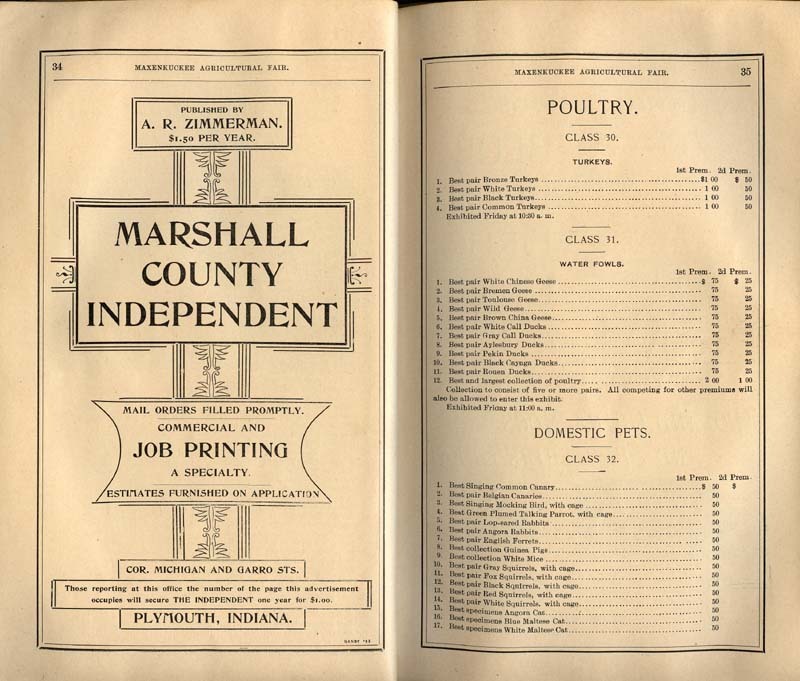 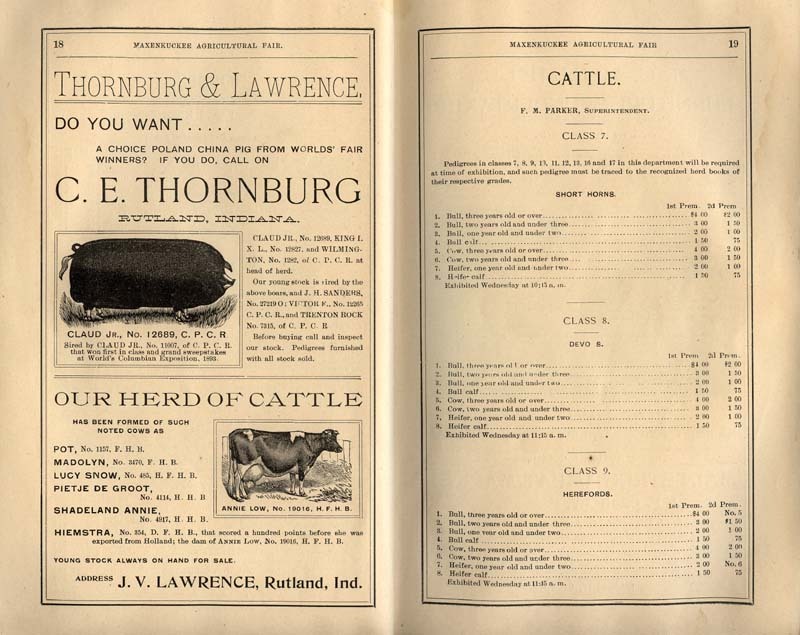 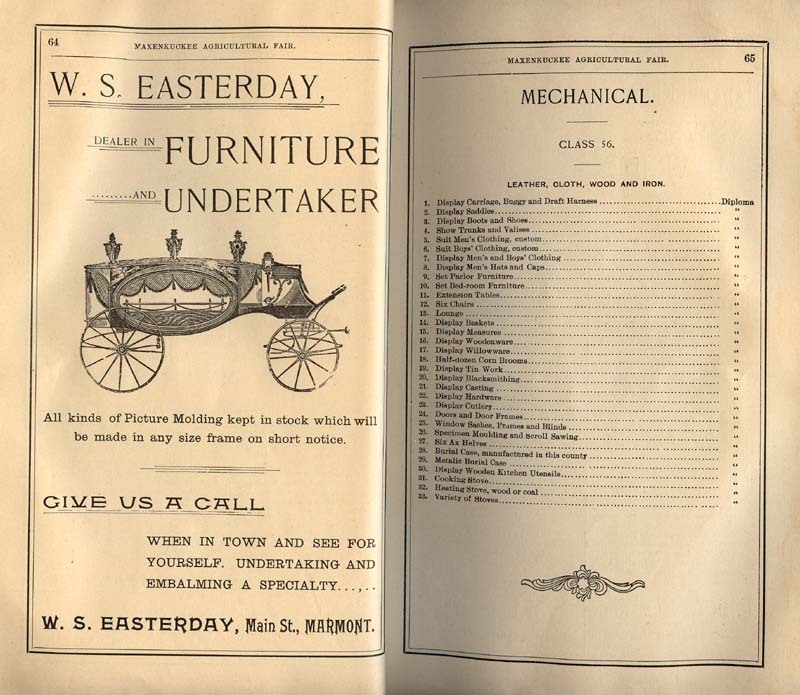 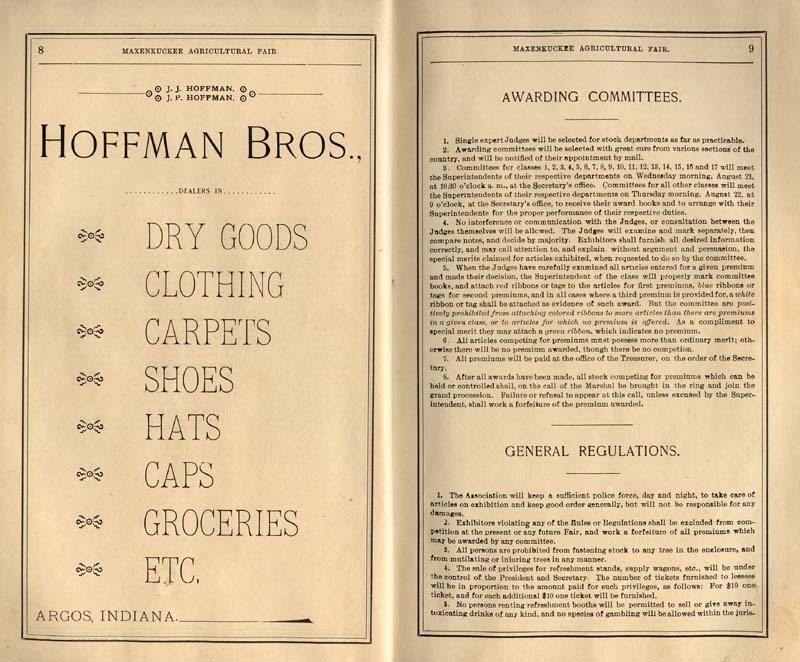 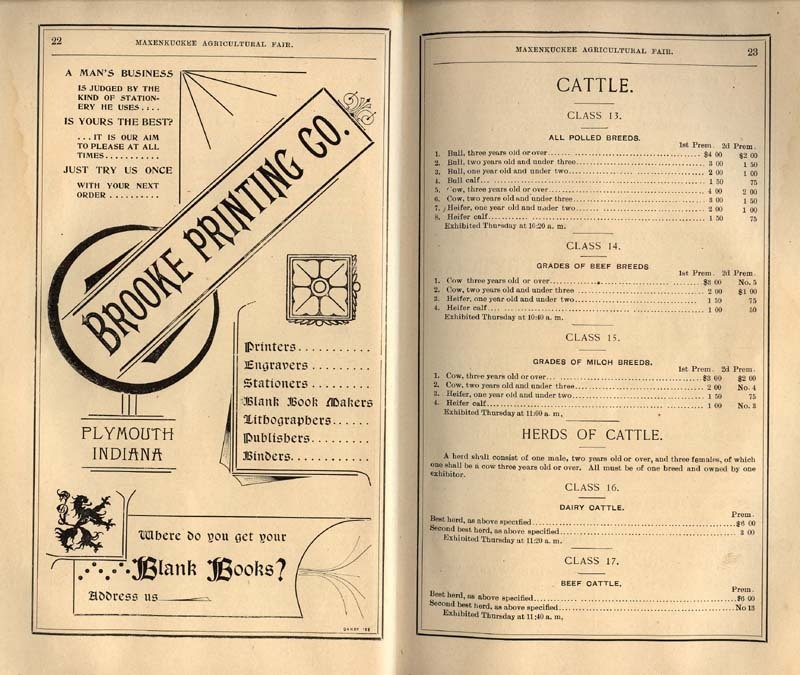 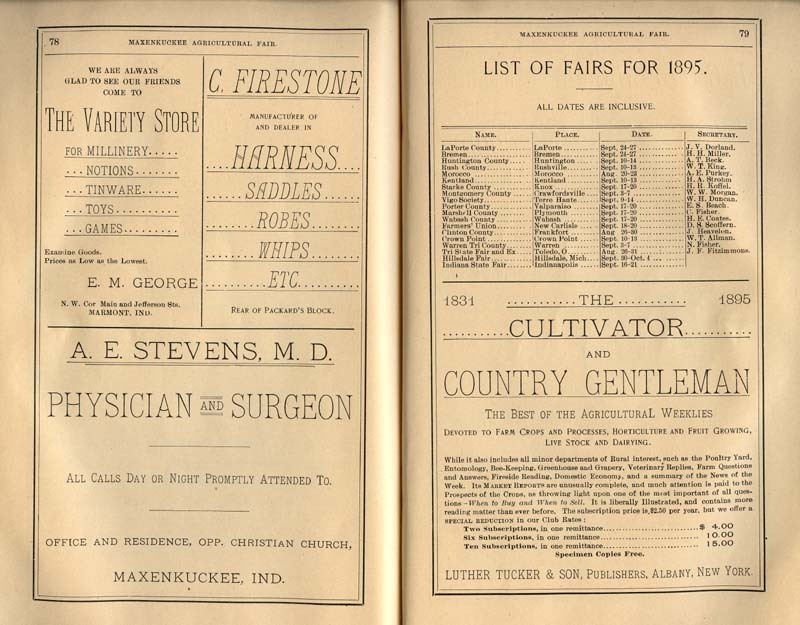 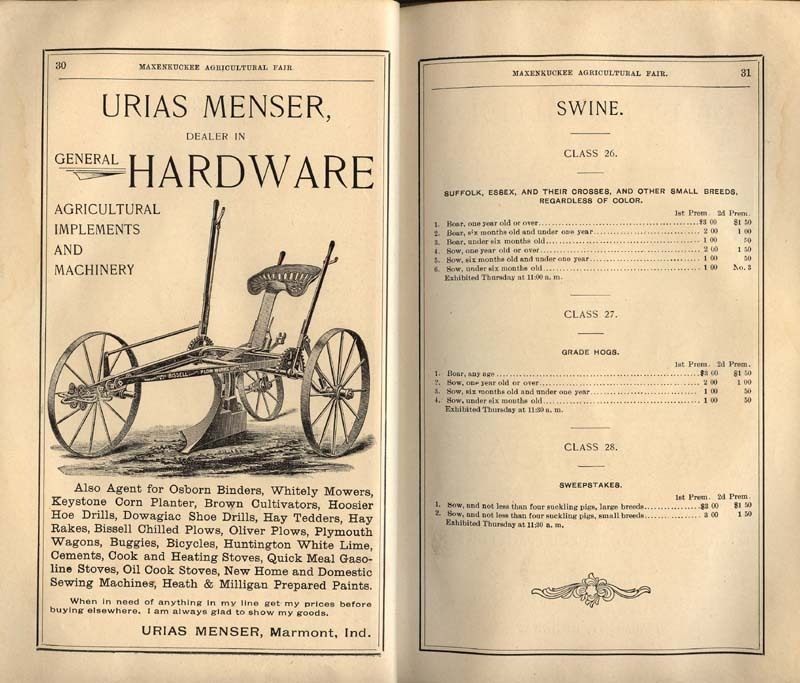 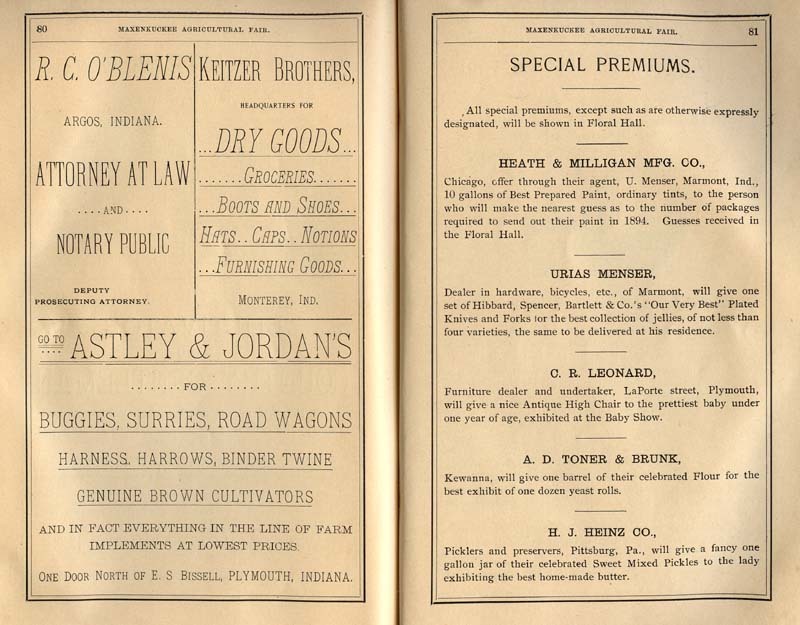 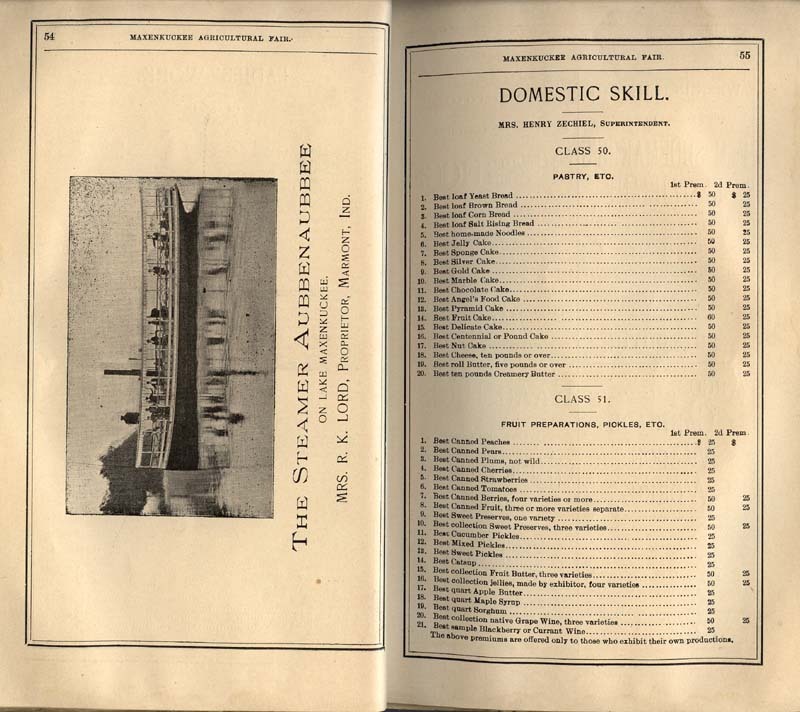 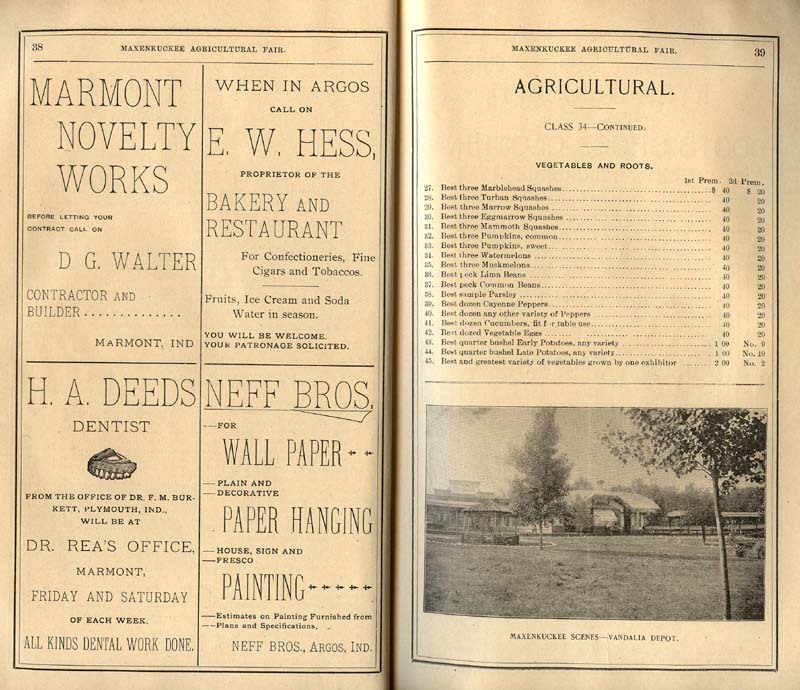 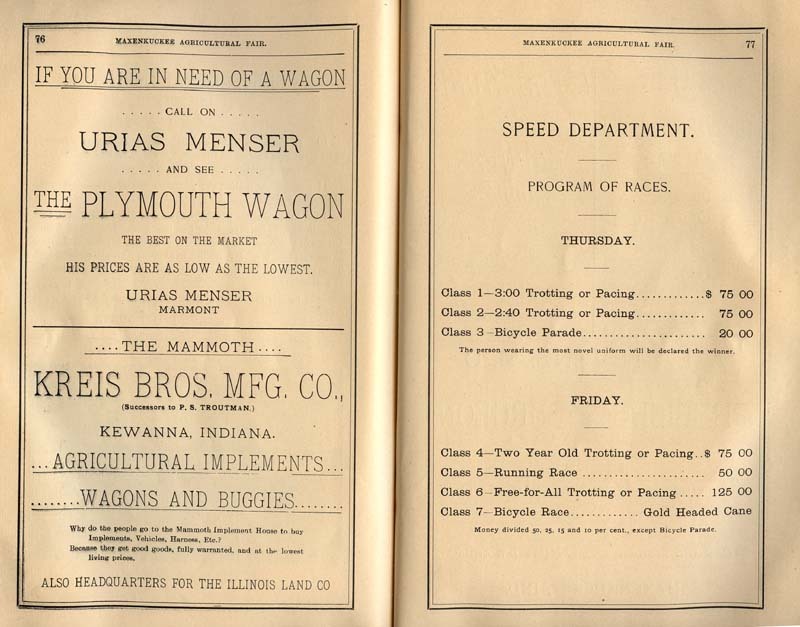 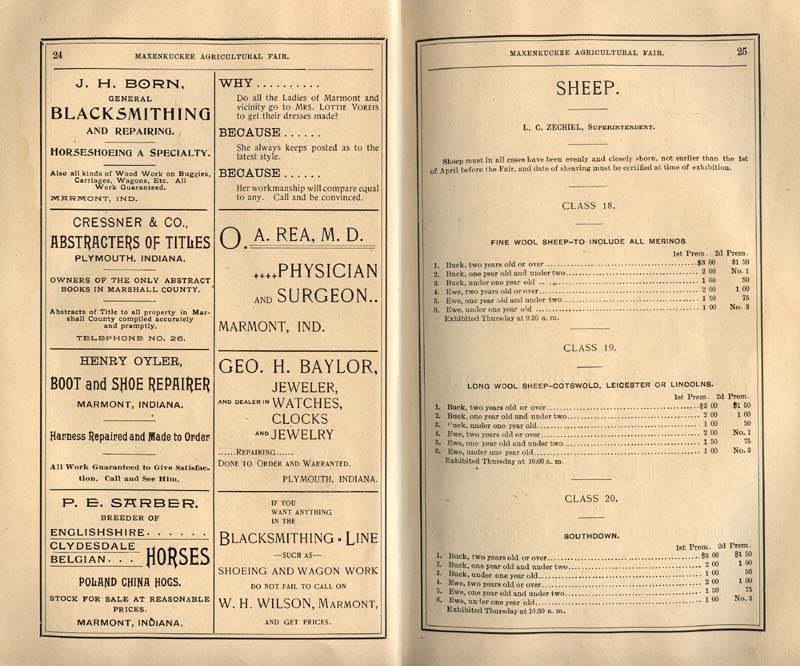 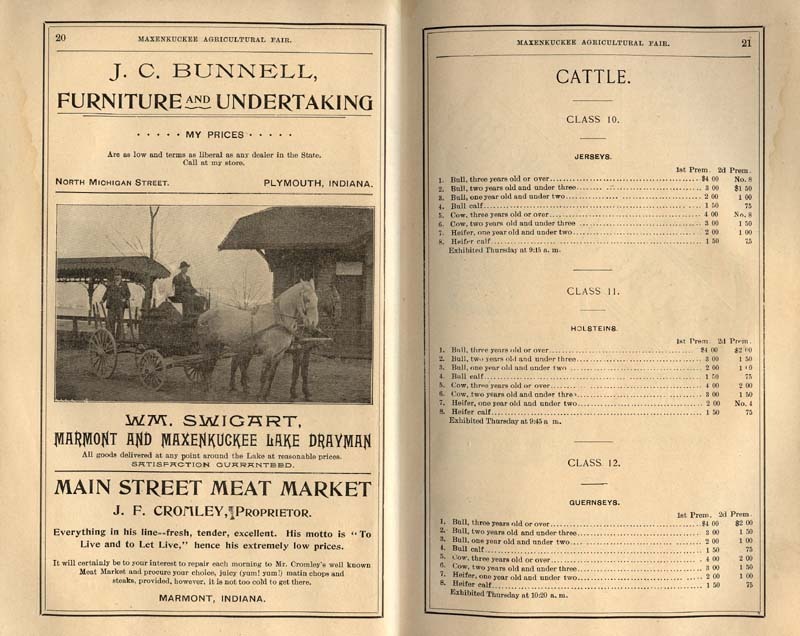 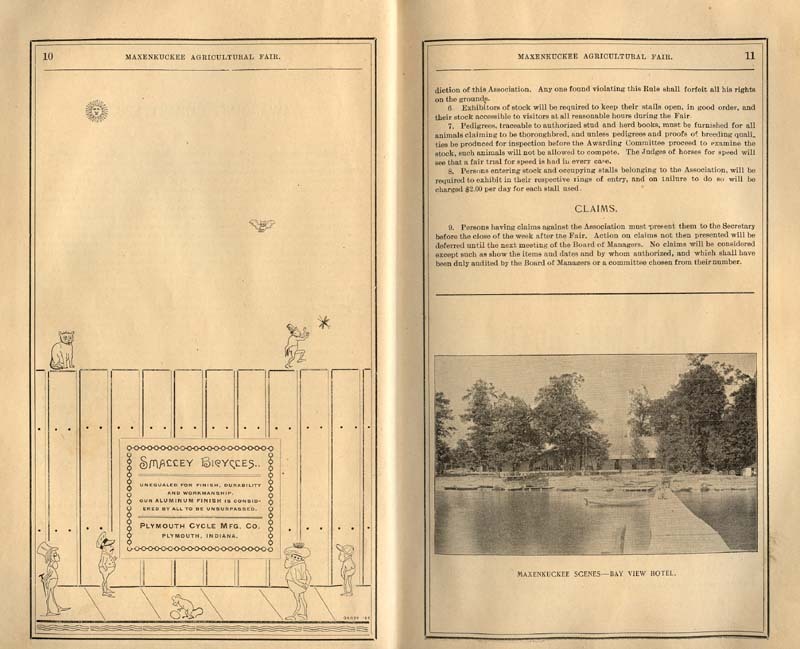 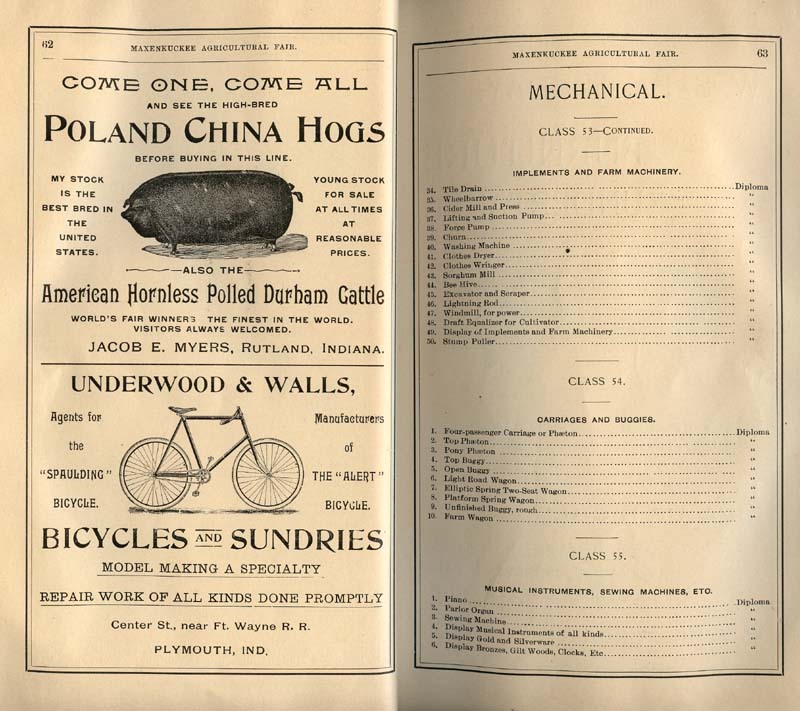 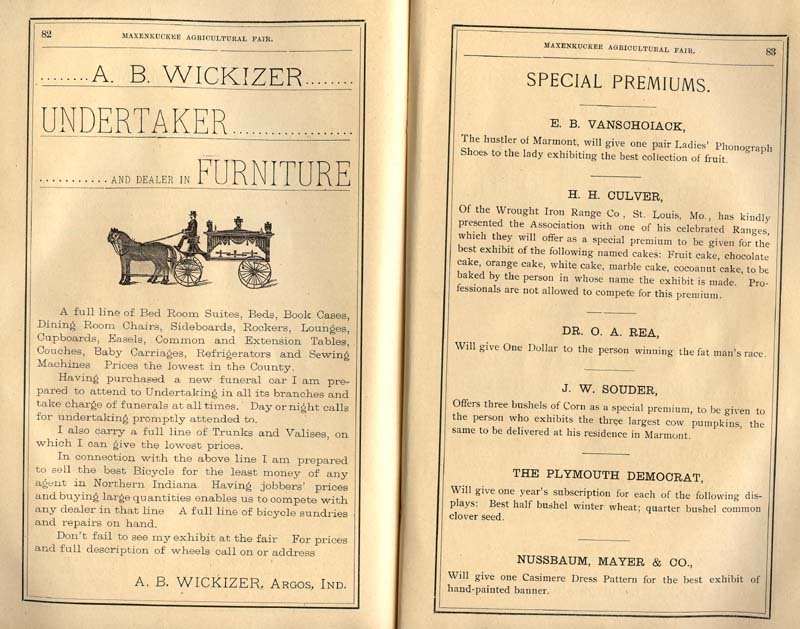 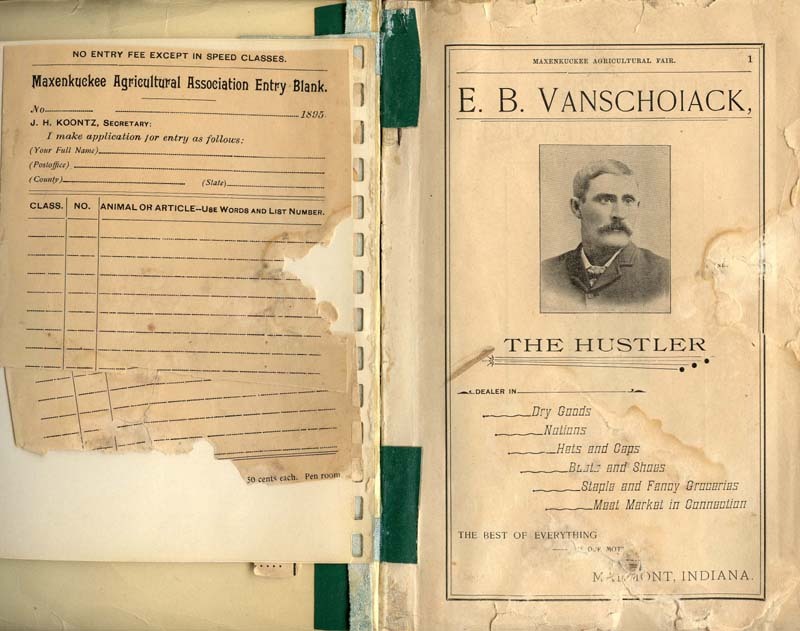 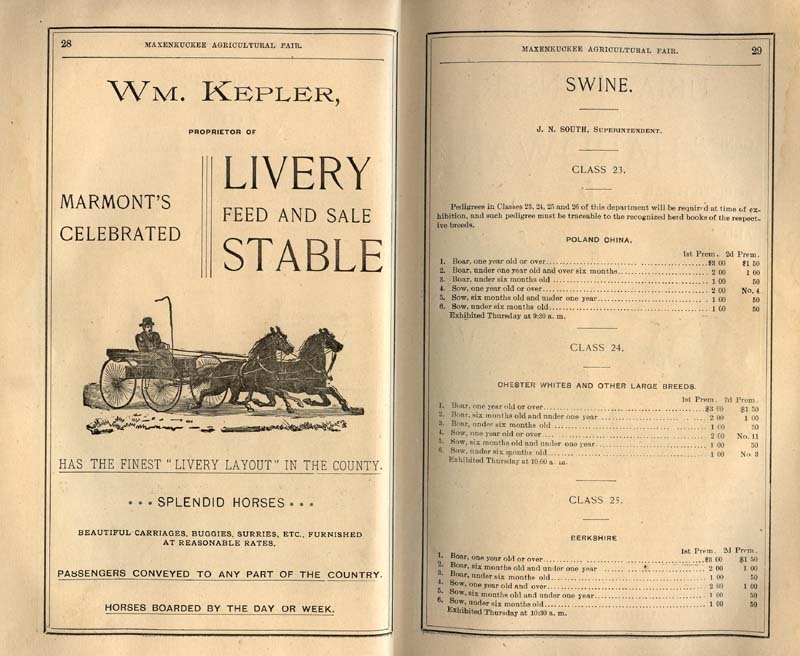 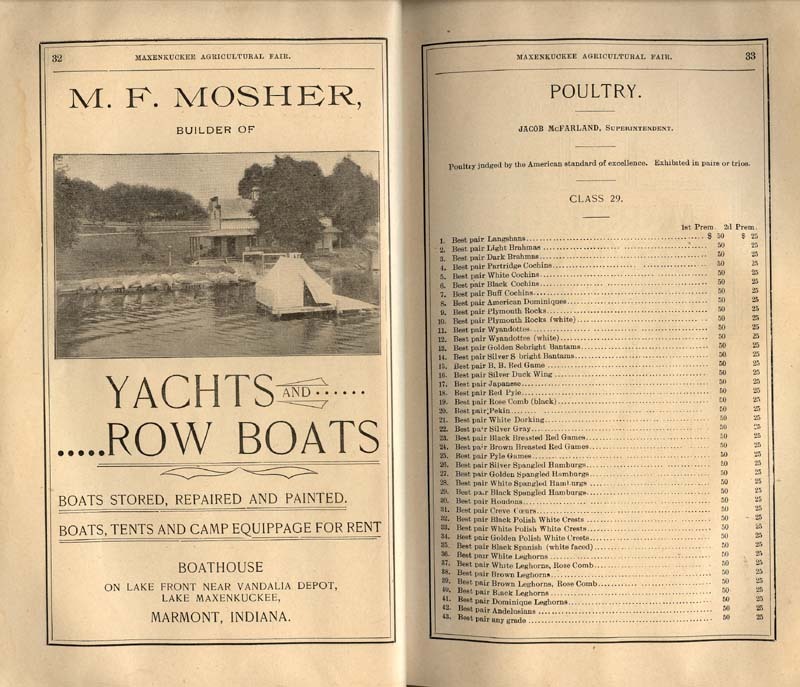 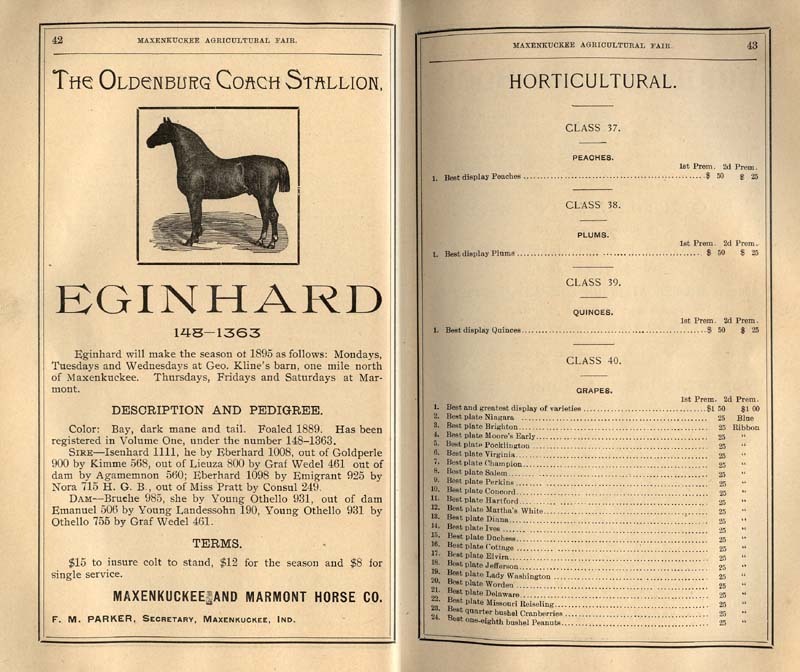 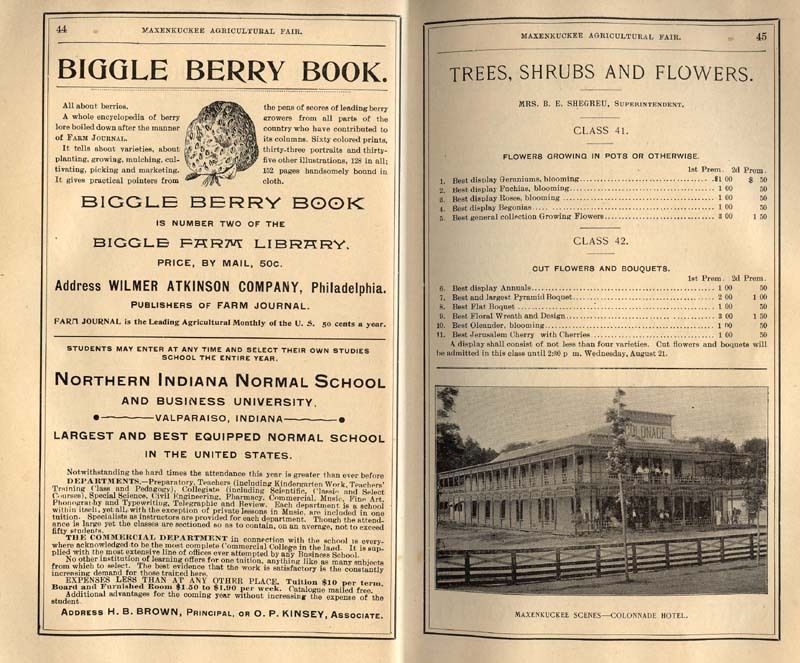 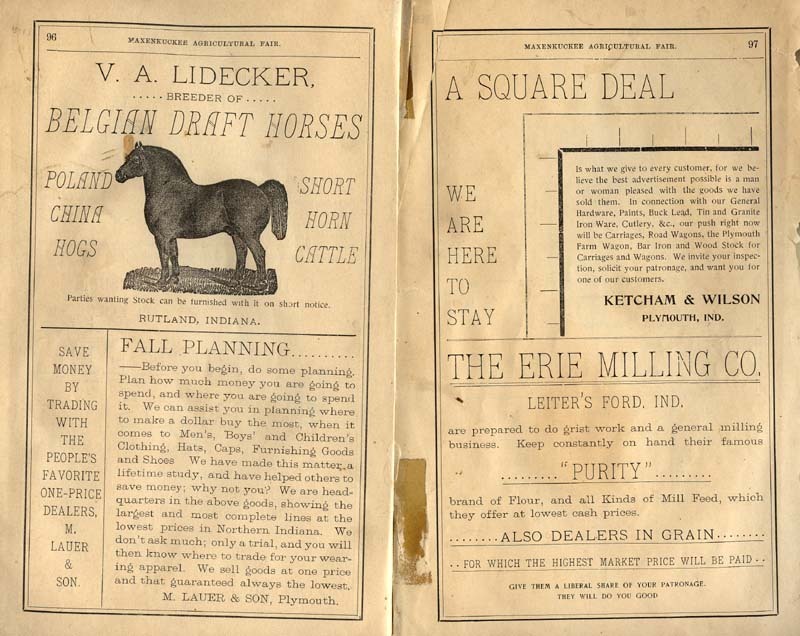 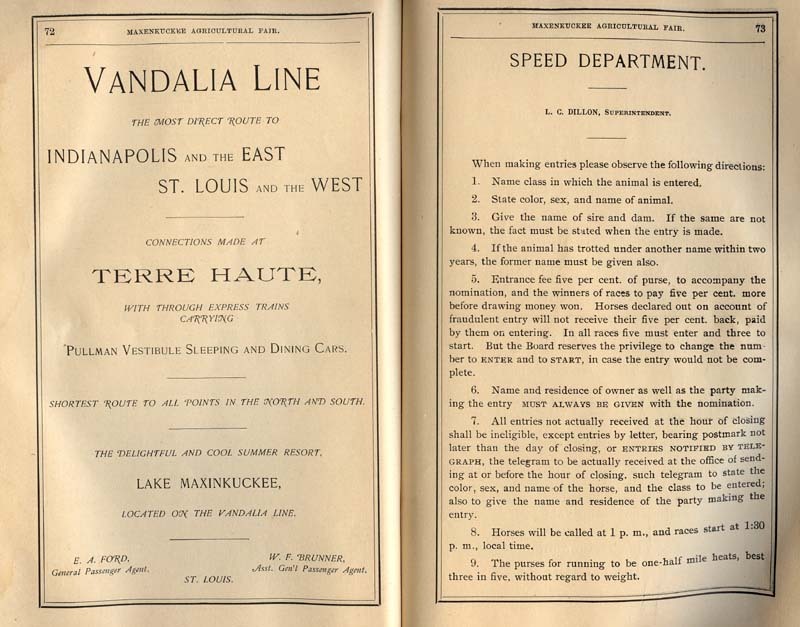 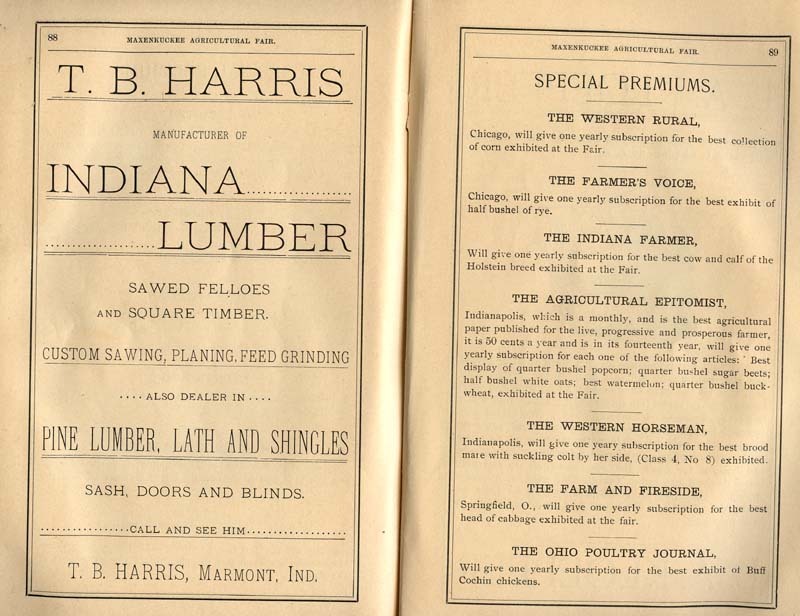 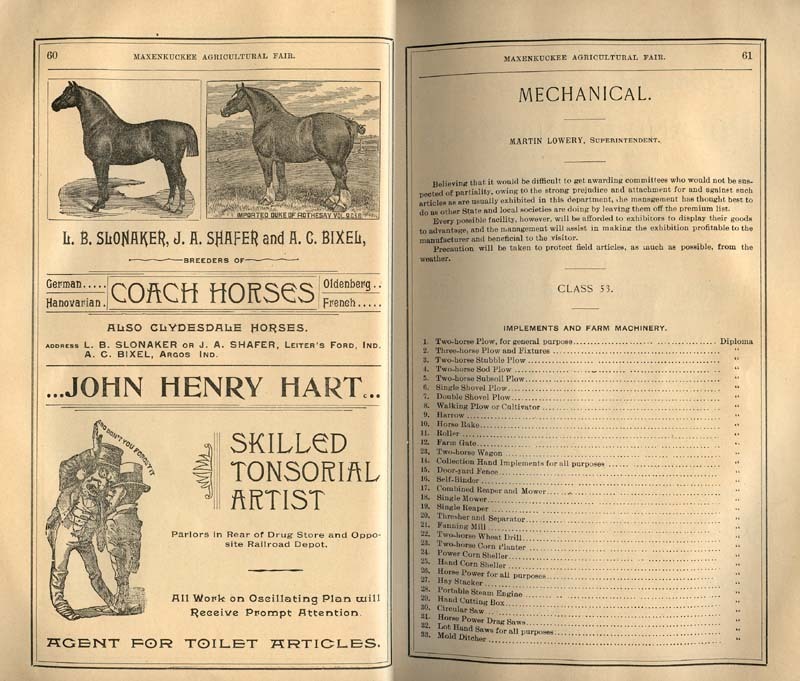 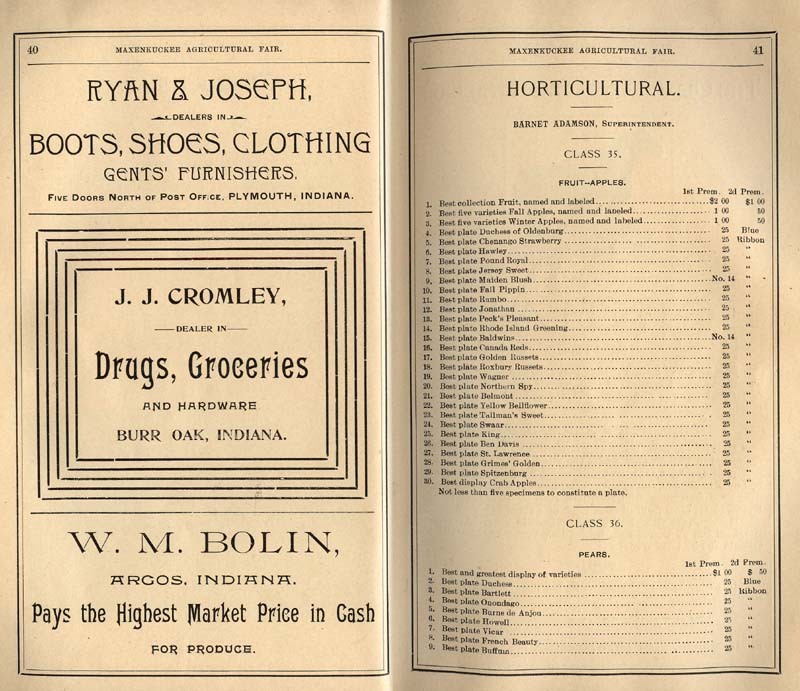 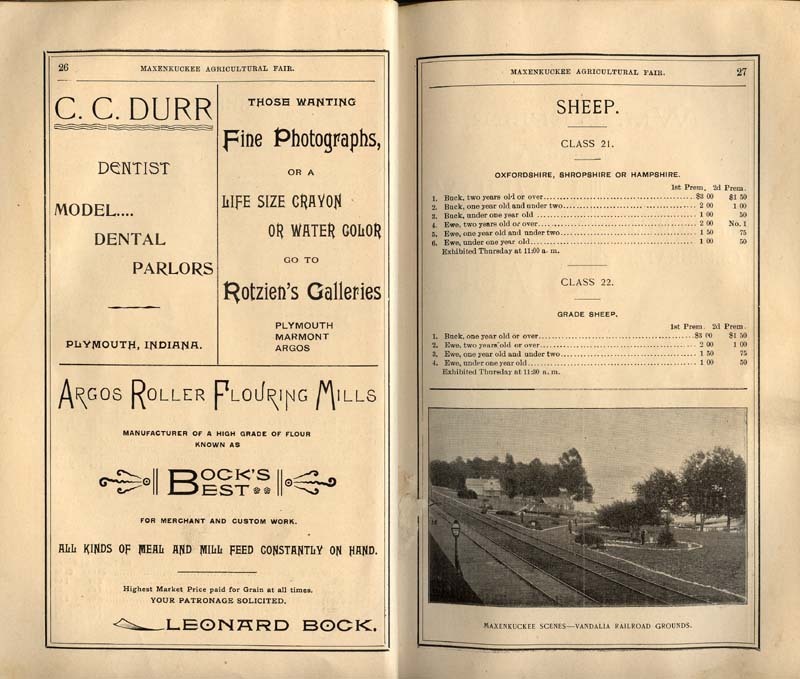 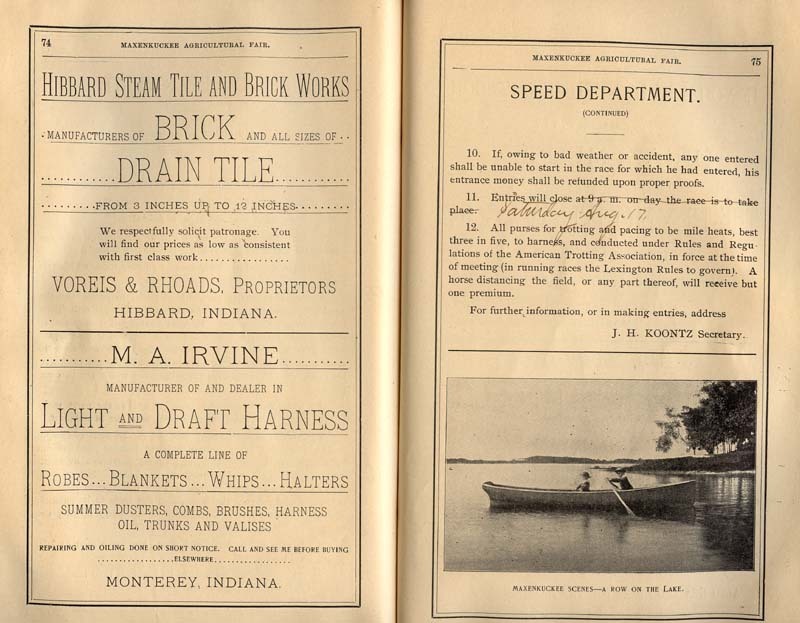 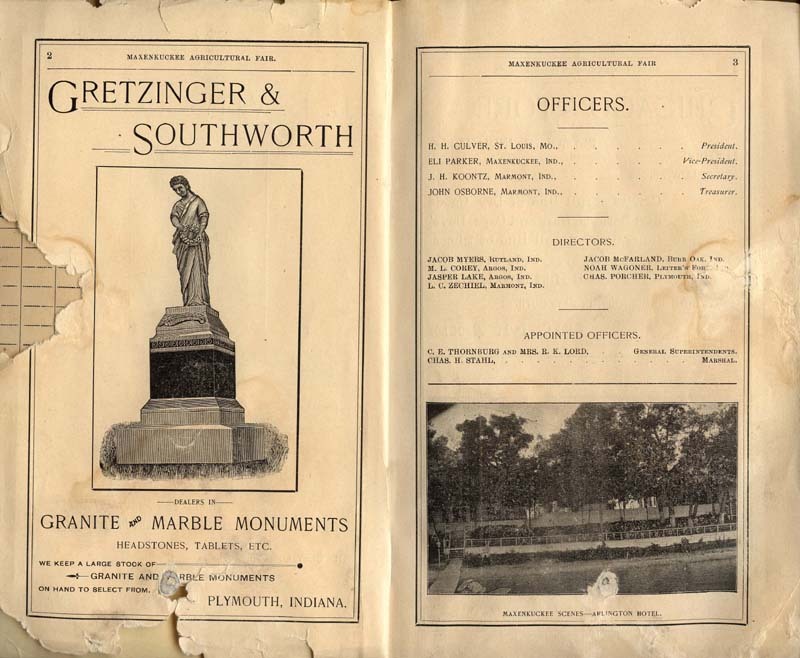 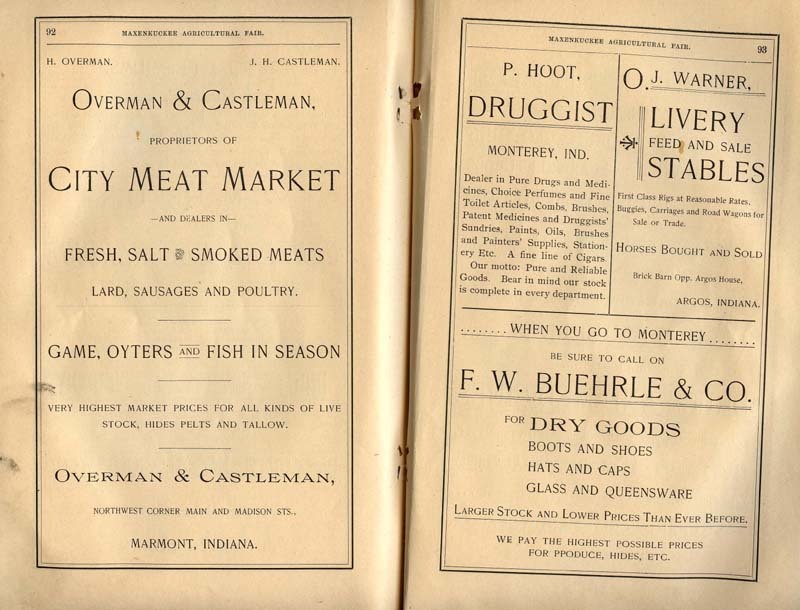 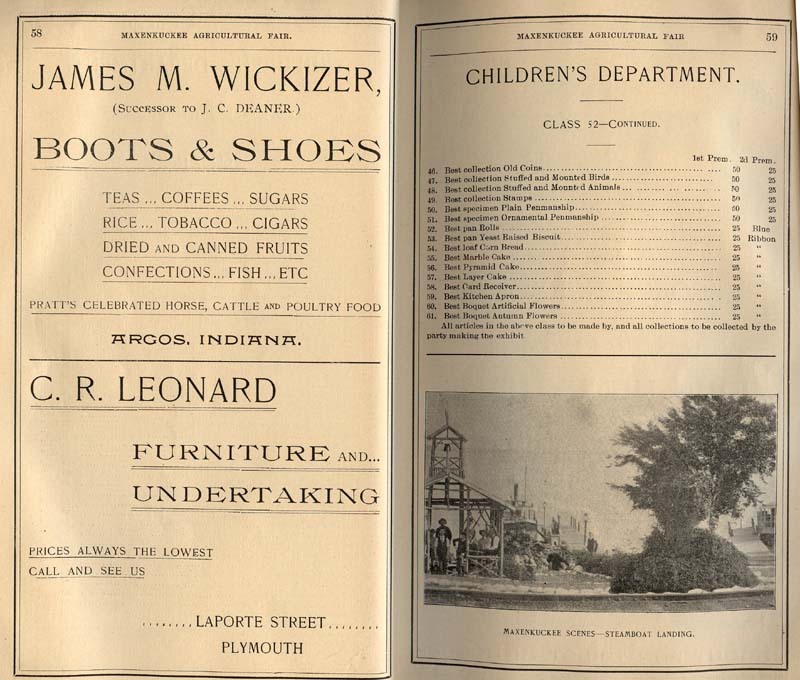 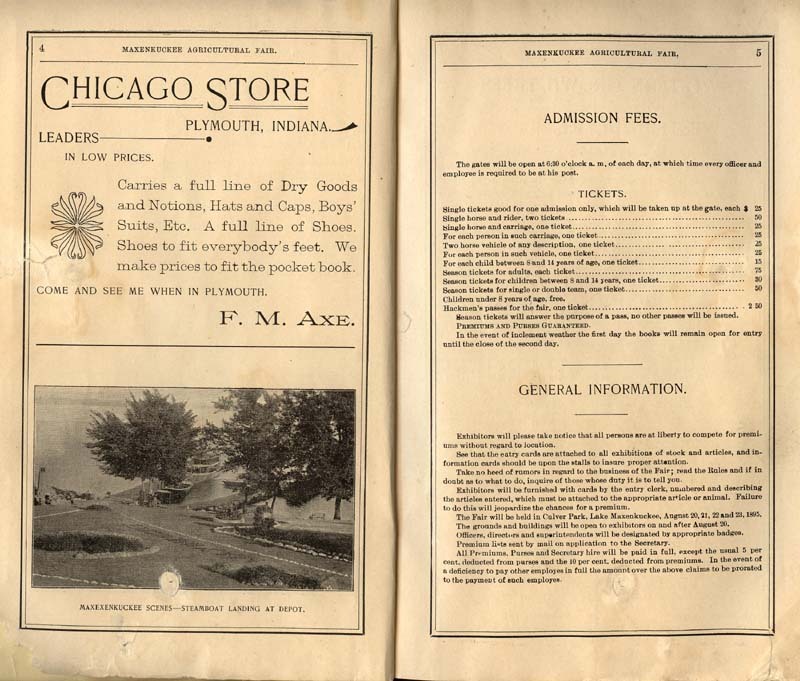 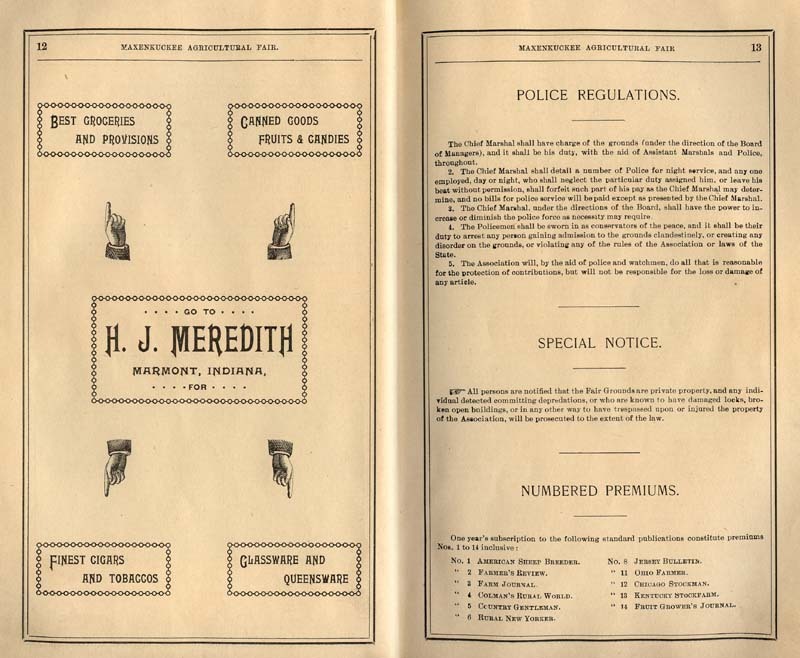 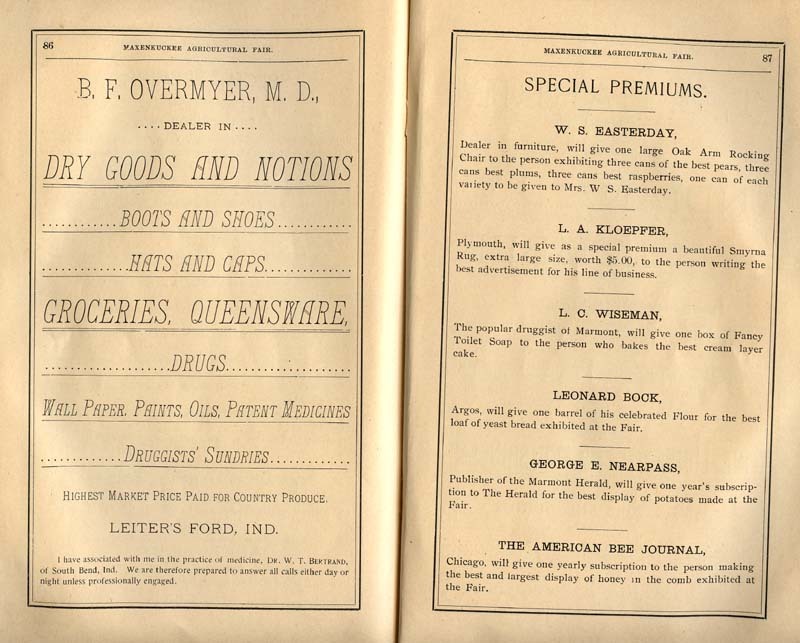 Apparently, this booklet was the rundown on an agricultural fair to be held in Vandalia Park (today's town park); while the fair information is interesting, most amazing is the flood of vintage advertisements and photos, both from surrounding communities as well as Marmont itself. 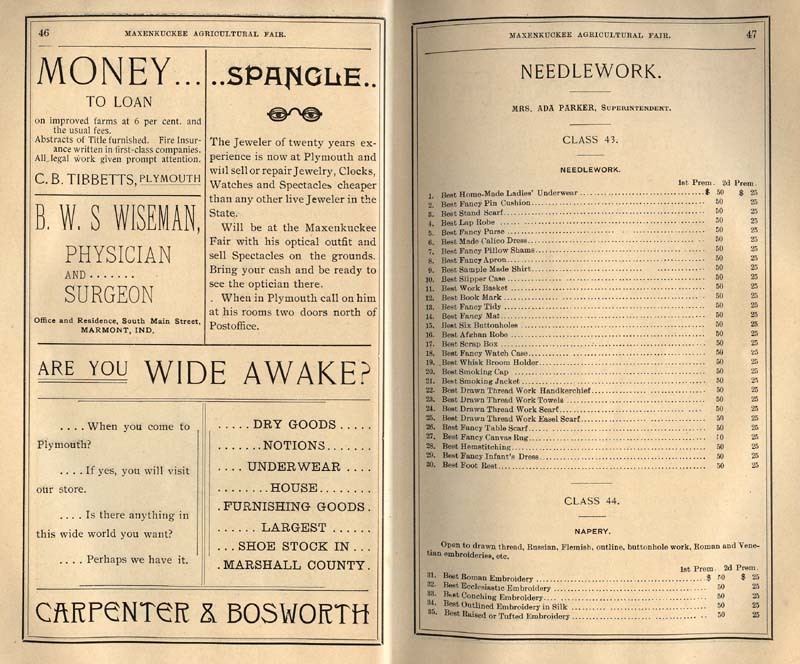 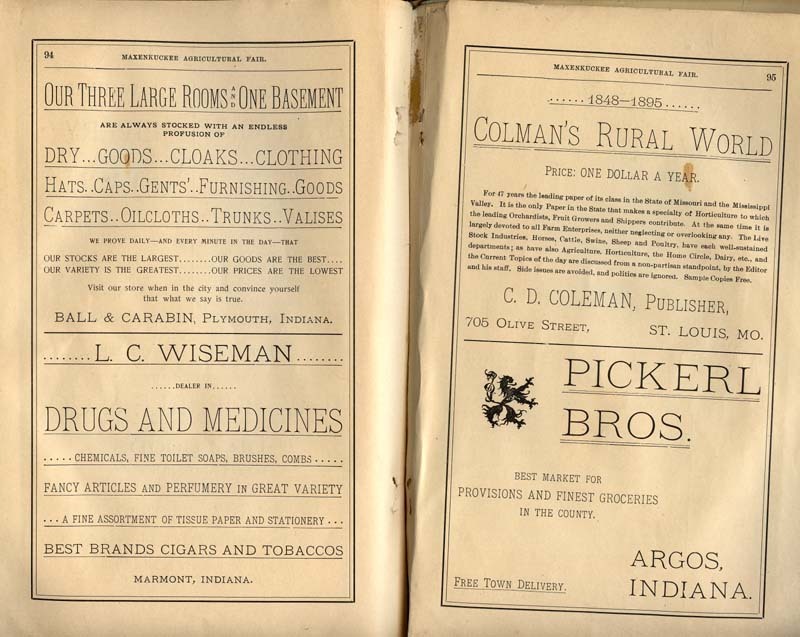 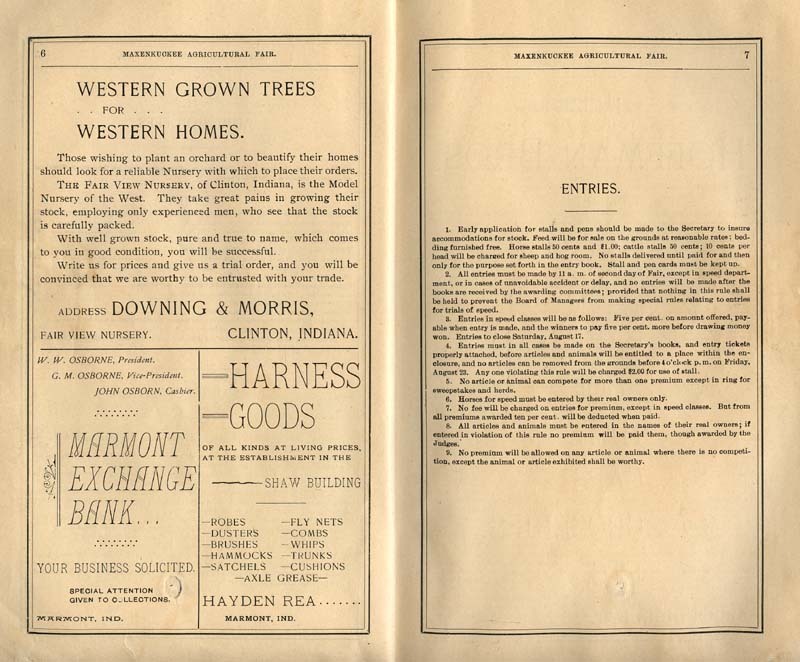 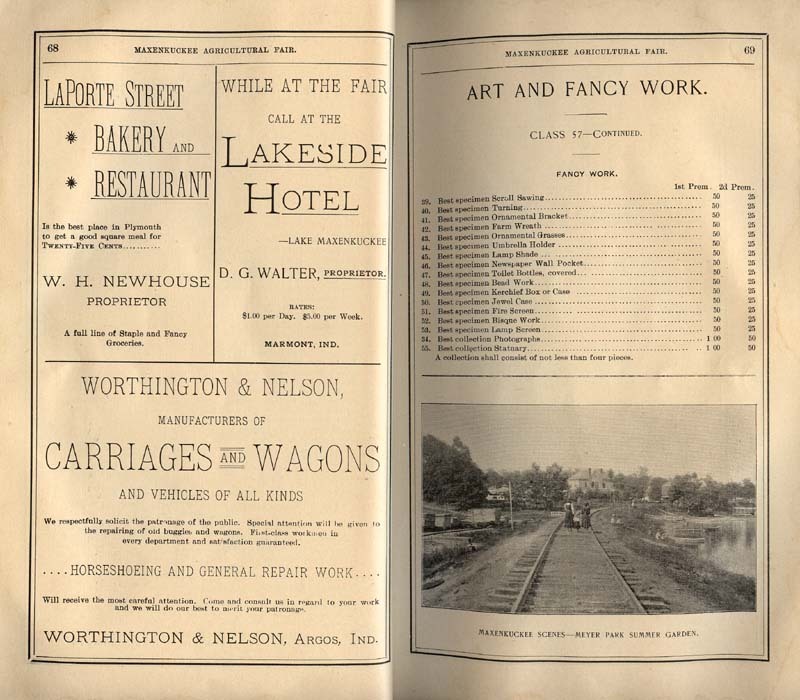 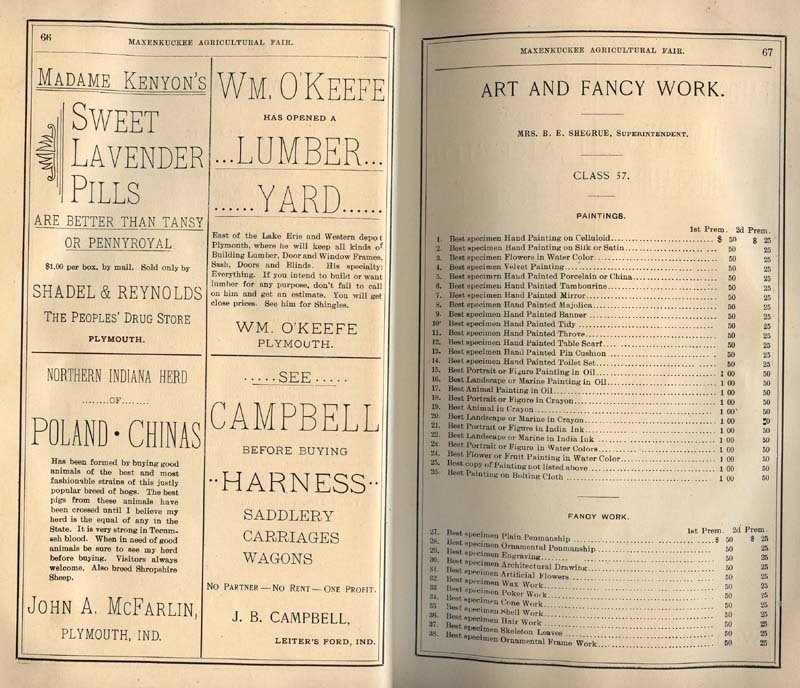 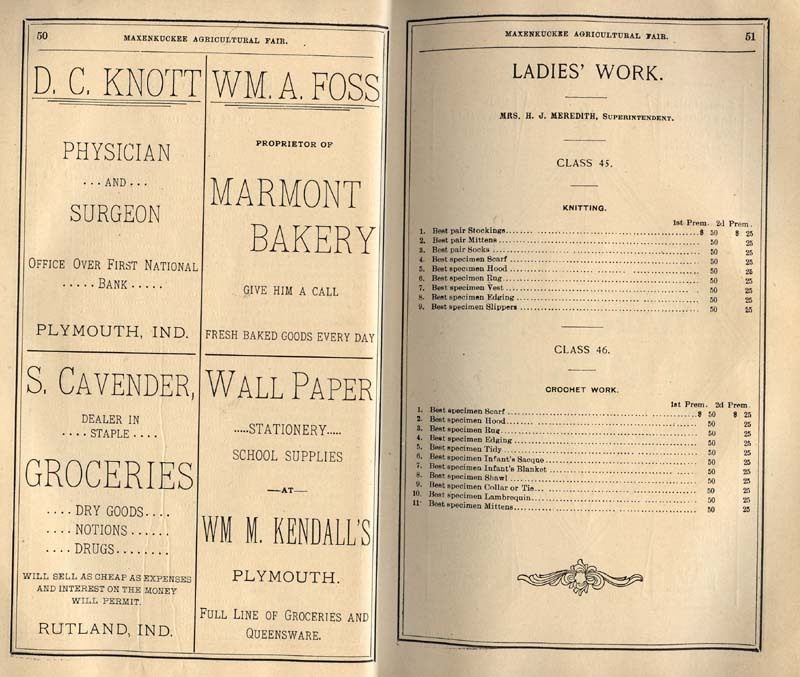 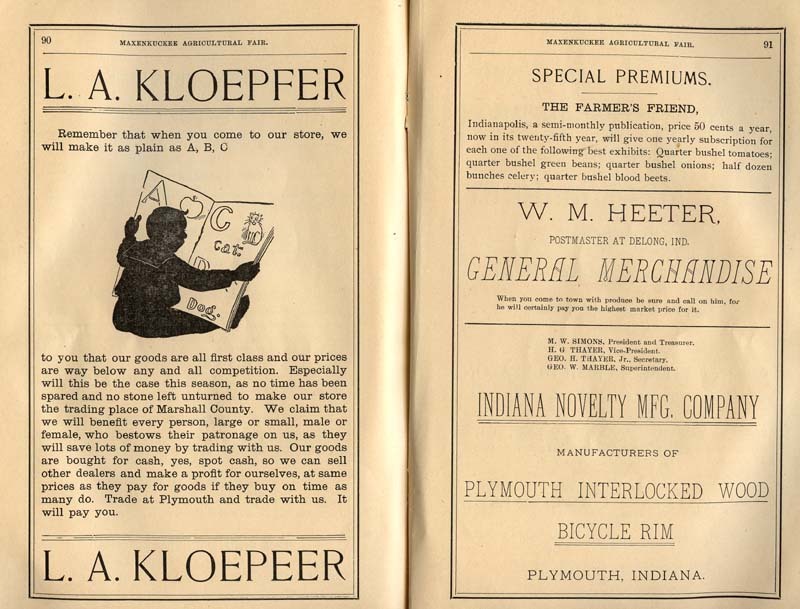 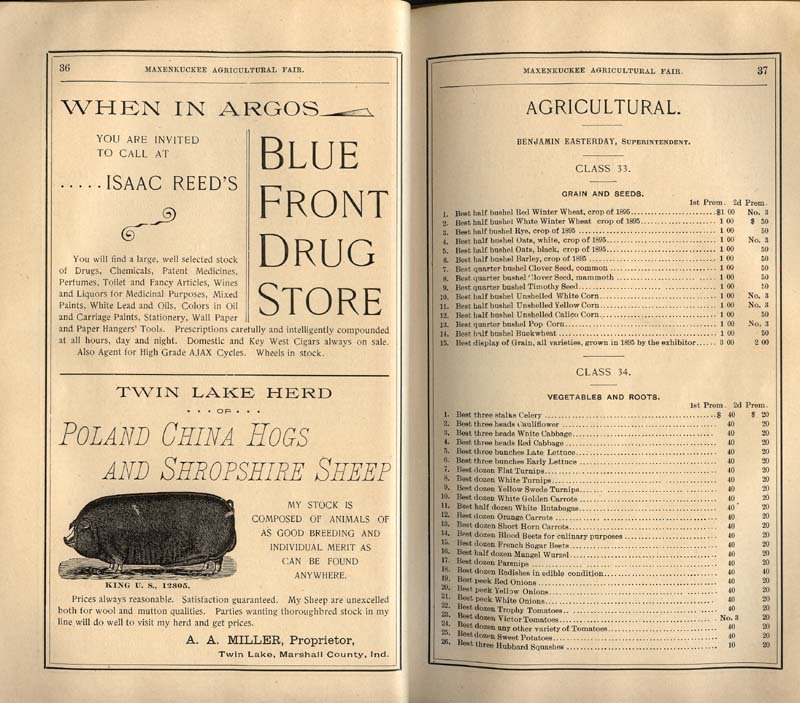 It's probably safe to assume that most of the prominent businesses of the community are represented in the ads, and the booklet also boasts a number of rare shots of the area from a very early period. 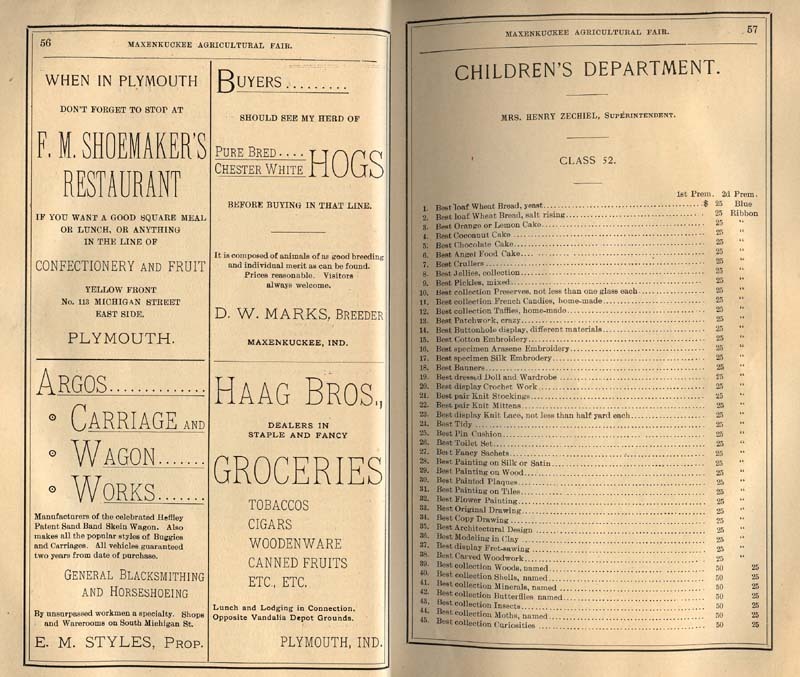 A few pages have been omitted, but there remain over 40 pages, each enlarged when clicked on, below.